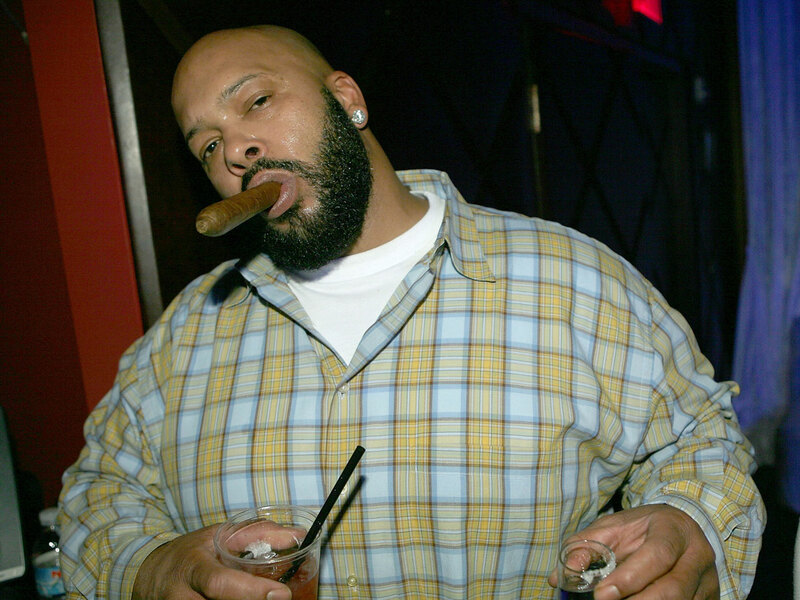 LOS ANGELES - Death Row Records founder and rap mogul Marion "Suge" Knight was injured in an early morning shooting Sunday in a packed nightclub but was expected to survive, a Los Angeles County sheriff's sergeant said. Knight was one of three club patrons struck by gunfire around 1:30 a.m. at the 1OAK on West Hollywood's Sunset Boulevard, said Sgt. C. Tatar, watch commander at the Los Angeles County sheriff's West Hollywood station. Two other victims, a man and a woman, were also being treated at local hospitals and were expected to survive. Authorities are still seeking a suspect and declined to release additional information, citing the ongoing investigation. The shooting came just hours before MTV's Video Music Awards, which are slated for Sunday evening in Inglewood. R&B singer Chris Brown, who was co-hosting a party at the nightclub with Pia Mia, was also inside the club but not hit by the gunfire, Tatar said. MTV said it had no affiliation or connection to the event. Representatives for Brown and the party did not return a call for comment. Calls to the club rang unanswered. Those on scene told CBS Los Angeles that the driver of a Cadillac Escalade, which was parked outside the establishment, assisted the woman who was shot. She collapsed as she came running out to escape the gunfire. Video captured from inside the club and posted on Instagram depicted Brown prior to the shooting addressing fans on stage. When gunfire erupted, hundreds could be seen scattering to escape. Several people reportedly sustained minor injuries from pushing, shoving, and broken glass. They did not require hospital transport. "People were pushing. Most people on the floor. Running. Falling on glass. The only person that was standing was Chris Brown," said Hayley Belle, a nightclub patron. Video captured after the shooting showed attendees leaving the club with their hands in the air in accordance with audible commands by investigators, who were searching for the shooter. Although Brown was hosting the event, he was not believed to have played a role in the shooting, according to police. Knight has been shot before. In 2005, he was struck in the leg during an MTV awards pre-party in Miami. Knight's genius for poaching up-and-coming talent helped him land and make megastars out of Tupac Shakur, Snoop Dogg and Dr. Dre and shifted the center of the rap universe to the West Coast the 1990s. He's been in and of jail in the past two decades due to parole violations and physical attacks relating to a "rap war" he fueled with East Coast artists. Financial troubles also eventually lead to his Death Row Records filing for bankruptcy.